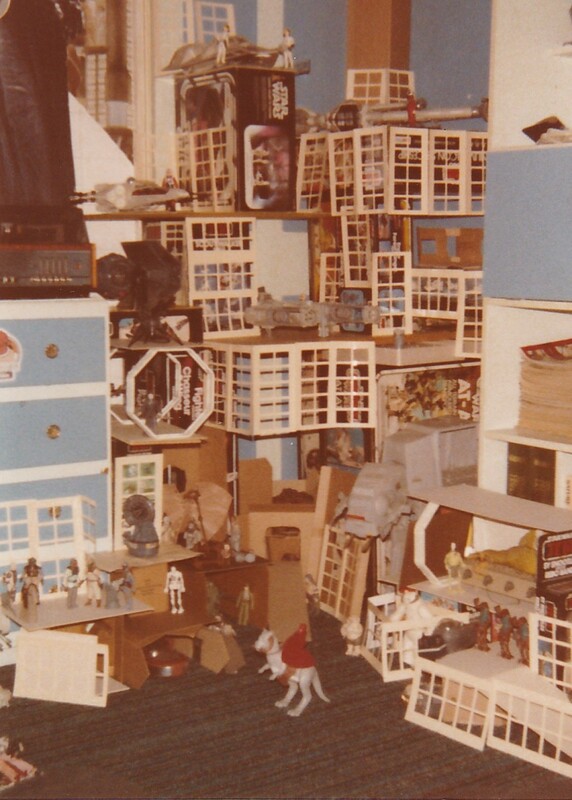 I recently found this picture of one of the many Star Wars cities I created for my action figures in my childhood bedroom. It was on multiple levels and included an assortment of living quarters for my figures, landing platforms for my ships and general city amenities. Storylines would be acted out and would unfold over periods of months, culminating in big battles and usually the ultimate destruction of the city. There was only ever a short break before a new city would be constructed and the chapters to the story would continue.